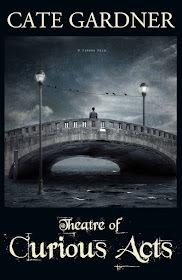 Several months ago when I contacted Peter Tennant about reviewing my novella Theatre of Curious Acts he kindly offered to do a double-up review of Theatre and my chapbook Nowhere Hall (which he'd recently read). Obviously, I was stoked. Then when he offered to also review Barbed Wire Hearts well my happy dance needed a ballroom to contain it. Of course (serious voice), reviewers are not guaranteed to like your book (still happy dancing - all reviews are good reviews if you get me) and reviews are not guaranteed, something could come along and push your book off the review roster (ooh no, my happy dance faltered and then restarted again). 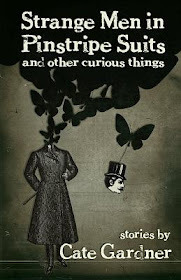 "Cate Gardner doesn't write like anybody else. 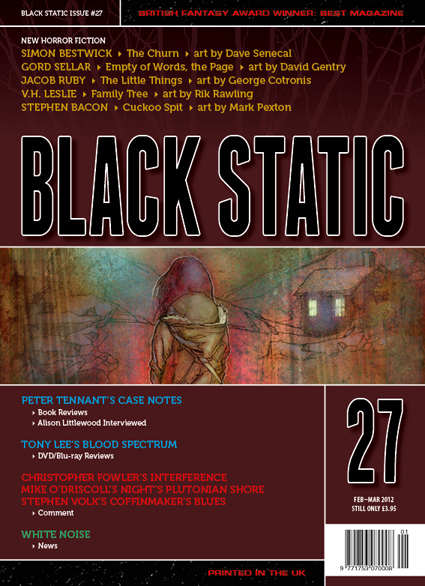 In a field where individuality is prized and having a unique voice is valued above all else, she is a true original, a writer whose work brings to mind the imagery of Magritte as distorted by the aesthetic of Tim Burton, but with a playfulness and humanity that is all her own..." Peter Tennant, Black Static. ...and then he goes on to say wonderful things about all three books. I should stop spinning in about a week. Until then it may be best to avoid Liverpool. I can't wait for my subscription copy to arrive. And... heck, what else can she have to say. Well, Damien Walters Grintalis invited me to write a guest blog for Women in Horror month and it went live today. I'd love it if you'd head over there and read it, but you must promise not to try and calculate my age. And the third thing... I treated myself to a bag of Edinburgh Rock. Seriously, with me spinning from that sugar rush you should probably avoid the entire North West for the month. Right, back to my WIP and my bemoaning cries of 'I can't write for crap.' Seriously, we writers are weird. Holy cow, that is HUGE! Seriously-serious congrats, Cate. 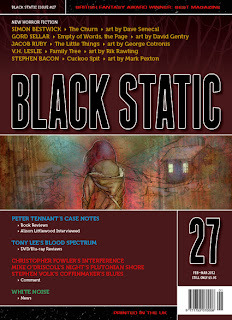 Black Static is one of those mags that if you're in it (story, review, whatever), you know people are reading. So very cool! Fantastic news all round, Cate! I'm delighted for you.